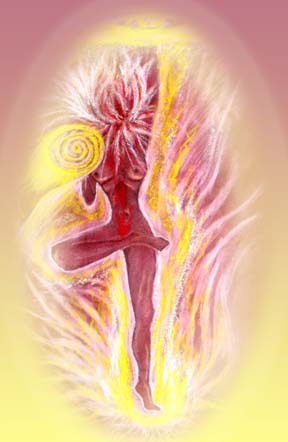 goddess energies of grace! navrathri! her nine days as her all encompassing manifestations through birth, sustanence and the readiness to get stronger in the next unfolding circle- beginning today as collective prayers of india has lit the lamp. in our homes, alight the lamp and welcome her soothing energies into our threshold of consciousness. as presence she is the joy within the mantra sound as the experience of the dancing resonance- joy as wisdom having become. as intellect to flow are the nine facets invoked each… each day and in these beautiful dimension is she, the blessed grace that evolves as our love for her ever more every breath. 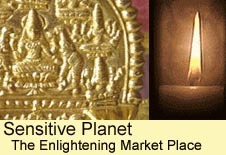 aaadi sakthi is the primal ancient lamp within that we alight as we alight the lamp in the physical realms. maha sakthi is the expansive energies that in human realm is the transforming grace for human as a civilization along with life force of all the living. tsunami like in energies of change and in ascendance, grand sensitivity. para sakthi is the knowing of her as in every atom…. all dissolved in the love to be oneness as the dance. brahma sakthi is the knowing of the fire that alights intellect and rushing to be source of thought and as wisdom to know the sound ‘i am’ blossom as without breath ‘ay yim’, she is pregnant wisdom giving birth to our knowing in our supreme surrender. vishnu sakthi as the lotus in blossom as the heart in the joys lit above the sustaining grace of plentitude and abundance. siva sakthi is the energies of manifesting the moment of now.nitya sakthi is the deep intense desire that springs from our knowing of purposekriya sakthi is the flow that is joy created in the doing, enjoying our body sheath of love and the action as that done in breath while we enjoy breathless realms to be the flow.jnana sakthi aum….. may she as wisdom in our love forever be our thoughts source gracing us with fulfilling happiness and well being! aum, the sacred joys of our seniors shared!